You are one step closer to taking control of your future and joining the $9 Billion Fitness Industry. Our Franchise Kit will help you get started. If you have any questions please feel free to reach out to our Franchise Team at (720) 457-1343. Now I get to wake up and get excited about the day because I sincerely, absolutely love what I do and love being able to help people. ©2019 Fitness Together Franchise. All rights reserved. All trademarks are the property of their respective owners. Fitness Together® is a registered trademark of Fitness Together Franchise, LLC. Information based on the March 2016, Franchise Disclosure Document. Fitness Together Franchise, LLC 9092 S. Ridgeline Blvd., #A, Highlands Ranch, CO 80129 This information is not intended as an offer to sell, or the solicitation of an offer to buy, a franchise. It is for information purposes only. Currently, the following states regulate the offer and sale of franchises: California, Hawaii, Illinois, Indiana, Maryland, Michigan, Minnesota, New York, North Dakota, Rhode Island, South Dakota, Virginia, Washington and Wisconsin. 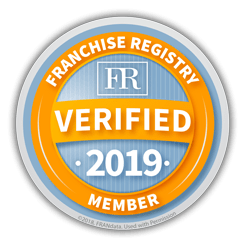 If you are a resident of one of these states, we will not offer you a franchise unless and until we have complied with applicable pre-sale registration and disclosure requirements in your jurisdiction. MN File No. F-4017. This advertisement is not an offering. An offering can only be made by a prospectus filed first with the Department of Law of the State of New York. Such filing does not constitute approval by the Department of Law.